Nothing warms the heart like a homemade gift. Making sure your homemade gifts look as good as they taste is easy when you use the right packaging. Sturdy cookies like oatmeal, chocolate chip and bar cookies are best for mailing. To prevent crumbling, line a tin or cookie box with waxed paper. Then nestle cookies to within 1 inch of the top. Fill spaces with air-popped popcorn or bubble wrap. And always cool cookies completely before packing to prevent them from sticking together. Then place the tin or box inside a larger box and fill with crumpled paper, popcorn or bubble wrap to mail. Hermetic glass bottles, flasks and jars are fabulous containers for everything from flavored olive oils to homemade coco mixes. Takeout boxes make clever containers for candies. 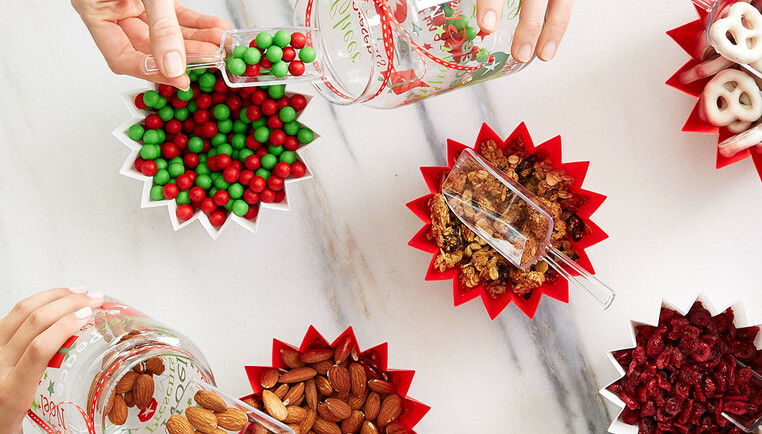 And serving trays and small containers are ideal for gift baskets. Be sure to complete your presentation by wrapping your gift basket in cello and adding a ribbon and bow. Don't forget to add a finishing touch to your gift by creating a special label. Adhesive labels make it easy. You'll find printable templates online. Other ideas include adhesive chalkboard labels, wooden gift tags or fabric labels for an adorable presentation. The only limit is your creativity.